What can legal data tell us about the ways women are able to participate in the economy? This is the central question answered by the Women, Business and the Law 2016 report, which was released on September 9, 2015. The Women, Business and the Law series quantifies gender-based legal differences that impact women’s ability to participate in their national economies in over 173 countries. It is a data-driven innovation that contributes profoundly to the movement to secure women and girls rights, empowering countries with vital information they can use to enact legal reforms. The strength of the report lies in the way it delves into the details of daily life that affect women’s access to economic opportunity. From the ability to register a business and open a bank account to whether or not a woman’s testimony carries the same evidentiary weight in court, the report tracks gender-based differences across a broad range of legal concerns and cultural impediments. It explores, for example, the validity of customary law when it violates women’s constitutional rights. And it shows how some discriminatory laws restrict the kinds of jobs women can hold, while others designed to protect them from violence are not enforced. However, we need to change both laws and culture to secure the rights and wellbeing of women and girls. The legal barriers women face both reflect and shape the culture in which they live. Culture explains the gap between de jure data and what actually happens in women’s lives. Laws are enforced only when culture supports it. The gaps between the laws that are in the books and the culture that is practiced can be fatal. Violence in particular is a key social determinant of women’s lives that is perpetuated by cultural norms. The studies about the effects of violence in women’s lives demonstrate its all-encompassing effects. Whether it is economic empowerment or maternal mortality, the levels of violence in women’s lives affect all domains and cut across culture, religion, economics, and geography. It does not matter if a woman lives in a developed country or a developing country — the numbers are shockingly similar. Over one-third of women experience some form of violence in their lives that threatens their wellbeing and ability to participate in society. The latest indicator added to the Women, Business and Law report, collects data about protecting women from violence. For the first time, the 2016 report will include data under this indicator that track child marriage. Child marriage is a form of violence that has devastating lifelong consequences for young women and girls. Girls who marry before age 18 are less likely to complete primary school, more likely to experience unwanted pregnancies, more likely to experience violence, more likely to be and remain poor, and more are at risk of death during childbirth. For these reasons, child marriage violates the basic human rights girls have to health, education, safety, and wellbeing. Yet 14 million girls worldwide are married before age 18 every year. That’s over 38,000 girls every day, or one girl every three seconds. There is a rising tide to finally put an end to child marriage. The African Union (AU) announced its End Child Marriage campaign last year and several other countries have followed suit. Ethiopia has committed to end child marriage by 2025. In countries like Ethiopia, this is not just about changing the law — it’s about enforcing it. A famous legal case in Ethiopia, which is the subject of the feature film DIFRET, makes this point. In 1996, a 14-year old girl named Aberash Bekele was abducted from her village in order to be married. The abduction of child brides in Ethiopia is a custom called “telefa”, which has been outlawed since 1957. As part of this customary practice, women are often raped by their kidnappers. When Aberash was faced with a similar fate, she tried to escape and killed her abductor in the process. At 14, she was put in prison and was facing the death penalty for her actions, according to customary law. The Ethiopian Women Lawyers Association (EWLA), founded and led by an indefatigable lawyer, Meaza Ashenafi, defended Aberash in court and argued that she acted in self-defense. Thanks to EWLA’s work, Aberash became the first woman to be awarded a verdict of self-defense and her case set a legal precedent. The work these women did laid the foundation for revisions to the family code in 2000, which closed a loophole in the law that allowed the kidnapping of child brides to go unpunished if the perpetrators married their victims. EWLA’s victory on this case instructs that all movements to improve our world require that the laws change, and that individuals have the courage to demand their enforcement. The data in reports like the Women, Business, and the Law can help do both by providing the information needed for these same individuals, as well as other state and non-state actors, to do something about the conditions women face. Countries like Cote d’Ivoire have taken the indicators included in the Women, Business and the Law series and used them to remove gender-based legal restrictions that hinder women’s economic participation. As a result of these efforts, in 2012, the government of Cote d’Ivoire revised its family code to give women the same rights as men to become head of household, pursue a job/profession, apply for a passport and choose where they live. 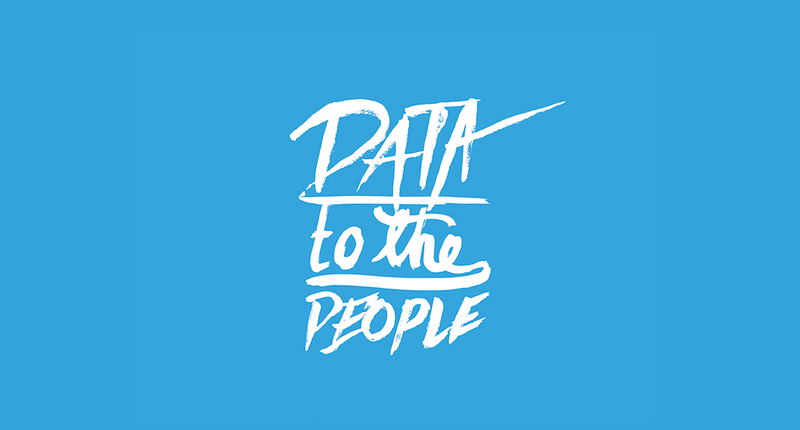 Data can empower nations and people to change laws. But culture often lags behind these laws. The gaps between the de jure data presented in reports like Women, Business and the Law and what happens on the ground demonstrate this fact. The good news is there are technological tools we can use to help culture catch up to modern legal code. Open source companies are creating tools that allow data about the lived reality women face to not only be collected, but tracked and shared with others. This technological capability helps identify which laws need stricter enforcement in order to improve women’s participation not only in the economy, but more importantly, in their own lives. The struggle for gender equality lies in addressing these everyday details where women’s fates are decided by what is practiced and supported by culture. Tracking this type of social data can save lives.